You’ve been thinking for quite a while that you’d like to remodel your kitchen. Watching home remodeling shows and searching the internet for information has become your favorite pastime. You’re dreaming of a particular new cabinetry style and new countertops. Whether you select a stained wood or painted cabinet, granite or quartz countertop, there is a bigger picture to be considered first. For a successful renovation, it’s essential that you evaluate your current kitchen. Remodeling a kitchen isn’t just about making it pretty. What looks good on television, in a magazine, or online is mostly about the “look” of the materials, and sometimes about the work flow. All of this is intended to inspire you to make changes. But you need to focus on how you use the working areas and storage in your own home. What do you like, or not like about the current amount of counter space, storage space, and traffic flow? Stop and think about what problem needs a solution. What in your current layout drives you crazy, or makes daily tasks feel like a big chore? What is in the current kitchen that simply gets in your way? Whether it’s small appliances that you only use occasionally or everyday clutter, there can be solutions built into the new cabinetry. Kitchen designers know about all the latest cabinetry features that are available. What items need to be stored for daily use (plates, glasses, plastic containers, pots & pans), seasonal use (picnic basket, cooler and BBQ accessories), or occasional use (small appliances, punch bowl and holiday dishes) etc. Taking this inventory makes you aware of when and how you use these items. You may discover that you can give away items you no longer need. What can you absolutely not live without? Whether that’s a gas stove or an island, making this list will be vital to the design of the new kitchen. What daily tasks need special features in the new kitchen design — cooking, baking, clean-up, entertaining, homework, bill paying, etc. Who uses the kitchen — adults, children, handicapped or elderly people? You may have heard of universal design, but thought it was only for people with physical handicaps. Actually, universal design includes features that people of all ages and abilities can enjoy every day. If all of this seems like a lot to think about, remind yourself that paying attention to all of these details now will result in a new kitchen that makes your life easier for years to come. You don’t have to come up with the solution by yourself. Describe the problem to an experienced designer and they will provide you with a solution, or options. Take “before” photos – you’ll be amazed when you look back at them later. As children go back to school, every parent knows it’s time to make school lunches and do homework again. Large kitchen islands have become a favorite gathering place for families to enjoy time together while doing these daily tasks. Involving children in meal preparation gives them important time together as a family, which not only teaches them about good nutrition, but provides them with emotional connections to each other. In our highly technological society, family time is more valuable than ever. Sharing time together while doing homework is more emotionally rewarding than just learning their school lessons. Especially for young children, being sent to another room to do homework can feel like punishment. Interacting with parents while establishing good study habits can help them develop a lifelong love of learning. As children get older, they may require more solitude while studying, but they’ll be more productive because they learned these early lessons as a family. Kitchen islands with seating for casual meals are not just convenient. While it may make meals easier to prepare, eat and cleanup all in one place, this family gathering place is about building happy memories together. Building confidence is an important aspect of life skill lessons and leads to healthy independence. When children are old enough to handle a knife safely, cooking lessons get more technical. As with most learning, hands-on experience is the best way to learn. It’s important to consider how you want your family to interact daily when planning a kitchen remodel. As a major family gathering space, the importance of a kitchen should not be underestimated. The best kitchen design is much more than the style and color of cabinetry and whether to include an island. An experienced kitchen designer will listen and learn about what works for your family. That allows them to design a living space that works well for you. Your designer will expertly handle the storage issues, appliance placement, and space layout so that you’ll simply enjoy using your kitchen for years to come. When you’re ready to get started with the planning stage of a kitchen design, or remodel, start your research in the “Getting Started” section of our website. Then contact a Kitchen Views showroom near you to get the personalized attention you deserve. Our designers work hard to exceed your expectations. Contact Kitchen Views at 508-DESIGNS [337-4467] or visit our website for more information. While the current heat wave in New England has everyone either running into the air conditioning, or jumping in a pool, this extreme heat is not the norm for our area. Outdoor spring and summer days in New England are long awaited and usually beautiful. If you enjoy entertaining in your backyard, you may already have a deck with a casual dining area and a grill to cook traditional summer meals like hamburgers and hot dogs. As you’ve been enjoying your backyard this summer, have you been wishing you had a real outdoor kitchen for al fresco family meals and summer parties? Kitchen Views now sells Wolf Endurance cabinetry, specifically made for outdoor kitchens. Designed by Lisa Zompa of Kitchen Views. When the homeowners purchased their new Canton home, they knew they needed to make it their own. With a dated kitchen layout and a floor plan that simply did not work for their family, the owners contacted Lisa Zompa of Kitchen Views to help transform their new home to fit their needs. 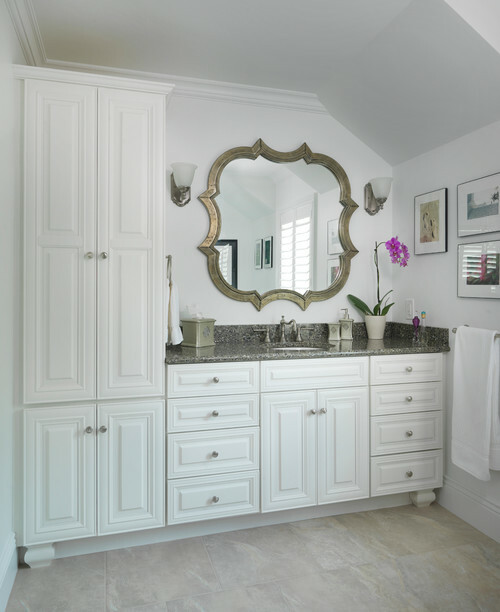 Together with National Millwork, Lisa and the homeowners added cabinets and other storage to multiple rooms along with renovating all of the bathrooms and the kitchen. The final result – a stunning modern, yet classic, design that is perfect for this active family. In this day of endless home improvement programs convincing homeowners that they can do it themselves from what they’ve learned on television, it’s important to know that designing a kitchen takes thorough planning. We all enjoy the inspiration of seeing what others have done to improve their homes. But that is not the same as having real life experience in planning and implementing an actual home renovation. Kitchens are most commonly laid out in one of three floor plans, L-shaped, U-shaped, and galley. A less popular, but still functional design is the single-wall kitchen. Single-wall kitchens are designed with the elements of the typical work triangle along one wall. Typically seen in apartments or other small homes where maximizing space and efficiency is at the forefront of design, this style of kitchen is gaining popularity in larger homes with open concept floor plans. These kitchens work well because they keep all appliances and cooking tools within reach. This design often has the sink set in between the range and the refrigerator, offering easy clean up and usually has counter space on either side of the range. With the kitchen viewed as a social hub within the home, the small kitchen footprint creates a feeling of openness and flows seamlessly with other rooms. A common challenge in single-wall kitchens is the lack of work space with the range, sink, and refrigerator taking up valuable counter space. A solution to this in apartments or small homes is purchasing a counter height dining table that doubles as work space or a rollaway island. In larger homes, a permanent kitchen island is a popular addition to provide supplementary storage and work space while maintaining the open floor plan. Maximizing storage space is one of the most desirable features in any kitchen. With the compact design of the single wall kitchen, it becomes even more important. Tall upper cabinets, bridge cabinets, and creative use of built in shelving will help to maximize storage. Additionally, the use of an island (both permanent and rollaway) will help to increase the amount of available storage. No kitchen is too small for the talented designers at Kitchen Views. Visit one of the six Kitchen Views showrooms to meet with one of the designers and begin designing the perfect kitchen for your space. Kitchen Views in Warwick, RI has won “Best of Design” on Houzz, the leading platform for home remodeling and design. Kitchen Views was chosen by the more than 40 million monthly unique users that compromise the Houzz community from more than one million active home building, remodeling, and design industry professionals. The Best of Houzz award helps homeowners identify popular and top-rated home professionals in every metro area featured on Houzz. The Kitchen Views at National portfolio includes some of the most popular images on Houzz 2016. Kitchen Views also maintains an active presence on the platform and answers questions from the millions of worldwide users who may wish to duplicate the popular style seen in the photos. Kitchen Views is proud to offer exceptional customer service, talented designers, exquisite showrooms, and quality products. For unlimited options, Kitchen Views offers multiple lines of custom cabinetry, decorative hardware, and stunning countertops. 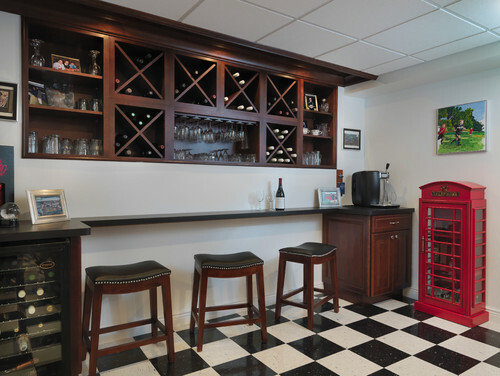 Whether you want a traditional, contemporary, or “green” design, you will find it at Kitchen Views. Click here to visit Kitchen Views’ Houzz profile and see the popular and beautiful work of Lisa and Kitchen Views. Kitchen Views has six unique and stunning showrooms across New England. Meet with our talented designers to be inspired in the planning and delighted in the results.